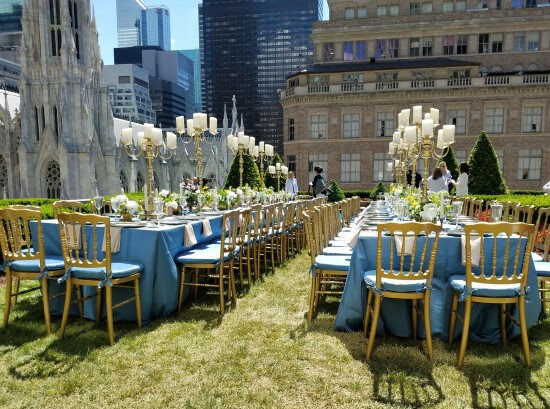 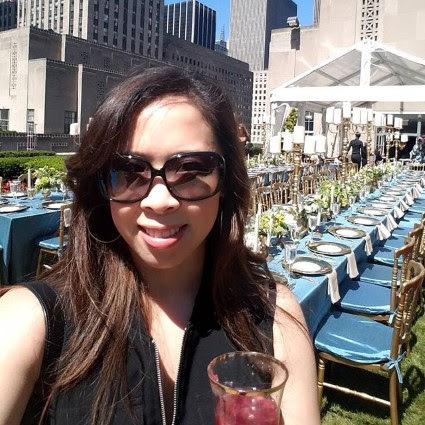 This past weekend was a perfect sunny day to celebrate the in-home release of the live action movie Beauty and the Beast (available Tuesday 6/6) at Rockefeller Rooftop Garden. 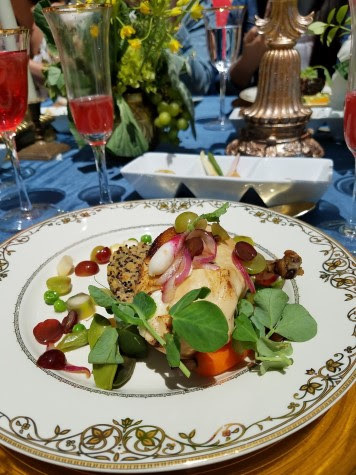 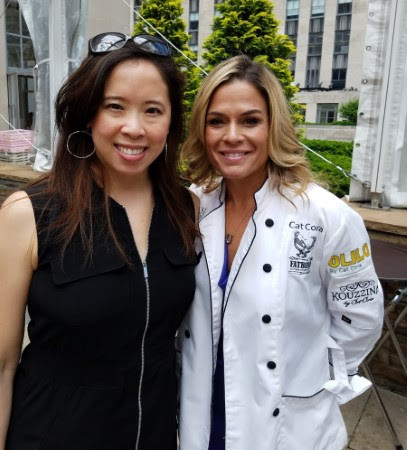 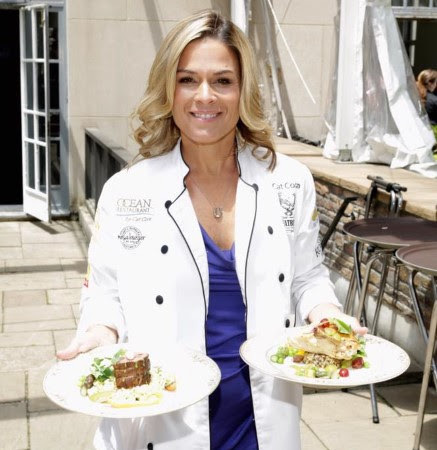 Celebrity chef Cat Cora hosted a gorgeous outdoor garden party that included a special brunch menu and exclusive screening of the movie for guests. 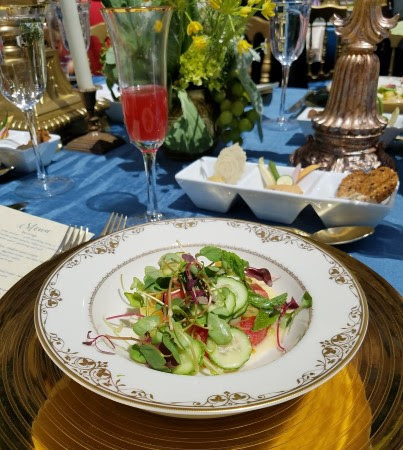 The Iron Chef treated guests to several delicious dishes in a 3 course meal, showing you can eat healthy and still have food taste amazing. 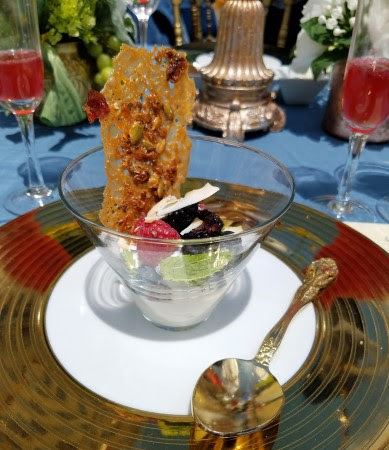 Everyone started off with a refreshing watermelon salad with feta, followed by the main course of either a pan seared chicken or beef tenderloin and side of seasonal vegetables and lastly a dessert consisting of a light greek yogurt parfait. 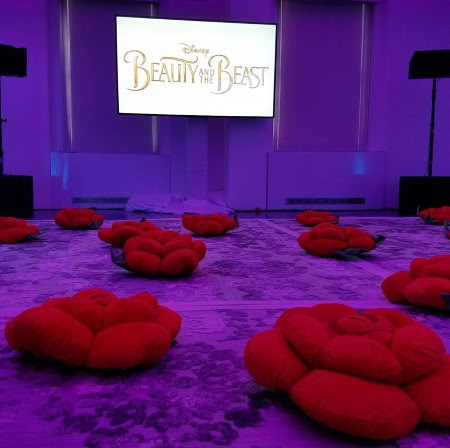 I enjoyed pomegranate spritzers and hibiscus iced teas to toast the scrumptious food experience before getting ready to watch one of my favorite Disney fairy tales again! 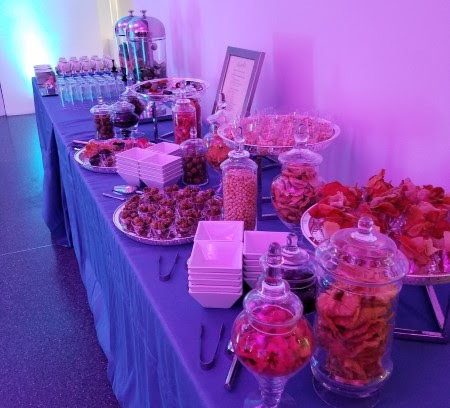 During the movie screening, all guests were treated to an assortment of healthy snacks, including vegetable chips, dried fruit and granola balls. 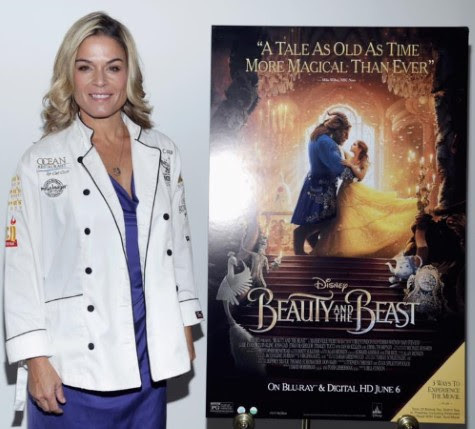 Disney’s “Beauty and the Beast,” live-action adaptation of the studio’s animated classic, brings the story and characters to spectacular life and broke box-office records. 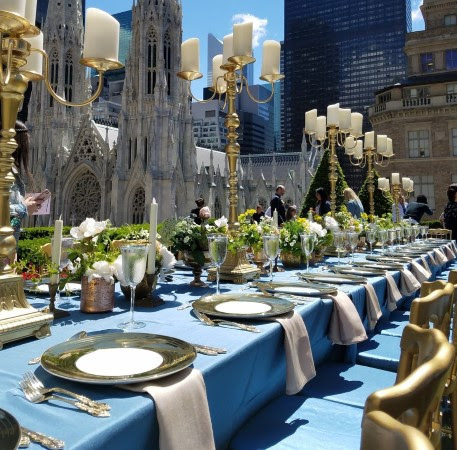 Now the stunning, cinematic event arrives home on June 6 on Digital HD, Blu-ray, Disney Movies Anywhere, DVD and On-Demand.